Sooner or later, every company is going to require legal representation. A lawyer can either be a huge asset for your business or an expensive line item. As a business owner, it is up to you to make that decision. If you have never hired a business lawyer before, the process can be overwhelming. There are numerous things to consider if you want the best Brisbane lawyer for your company. In this article, we are going to discuss various keys to picking the right one. This is going to vary for every person or business. However, the sooner you establish a healthy relationship with a lawyer and start getting valuable advice, the better off your company is going to be. However, legal advice comes at a price and bad legal advice is easier to find than good legal advice. If this is the first time you have needed a lawyer, we recommend that you start by contacting business lawyers and inquiring about their rates for basic services such as initial consultations. You can put the numbers into your budget as you start to gather the funds for your business. Also, ensure you hire a lawyer before you do something that might get you in trouble. For instance, if you are getting into a partnership, taking money from investors or entering into a lease, engaging a business lawyer in Brisbane to protect your rights ought to be a high priority. Most Brisbane business lawyers can handle conventional formation needs. This can include creating an LLC or corporation, drafting a business contract or creating a partnership agreement. For all of these, ensure you ask whether the documents are going to be tailored to your particular needs. It is alright if the lawyer starts from a template, but they should do more than just printing a premade document for you to sign. If you just require a trademark or have a question regarding tax law, you can focus on a lawyer that specializes in those fields. However, if you are on the hunt for a general and long term legal team for your company, then find a business lawyer. He or she can connect you with specialists as needed, whether they are from the same firm or from elsewhere. -Does your firm host events for other clients to meet and network? This can be in the form of webinars or live events. -Do you have a network of other lawyers and professionals who can help when in need of specialized services? -Are you a member of trade associations or other groups that I can benefit from? -Are you willing to introduce me to other clients, strategic partners or potential customers? Do not be afraid to ask these kinds of questions. However, approach this with some skepticism. If a lawyer over-promises, it might a red-flag and you should best use your judgment accordingly. Yes, you need a general business lawyer, but if they have no clue about your niche and how your business runs, then there will be inevitable communication challenges. This, however, doesn’t specifically mean that you need a lawyer who only specializes in your industry. It means that your legal team should be willing to understand what your business is about and who your main clients and strategic partners are. You should factor these points into your legal strategy. However, if you work in a niche that is highly regulated or specialized, you are probably going to benefit from the advice of a professional who is adept at those regulations. If you plan on opening a highly specialised professional practice for example, a lawyer without the familiarity of the complex regulations in such a project wouldn’t do much good. For most companies, however, a basic eagerness to learn is adequate to meet your requirements. 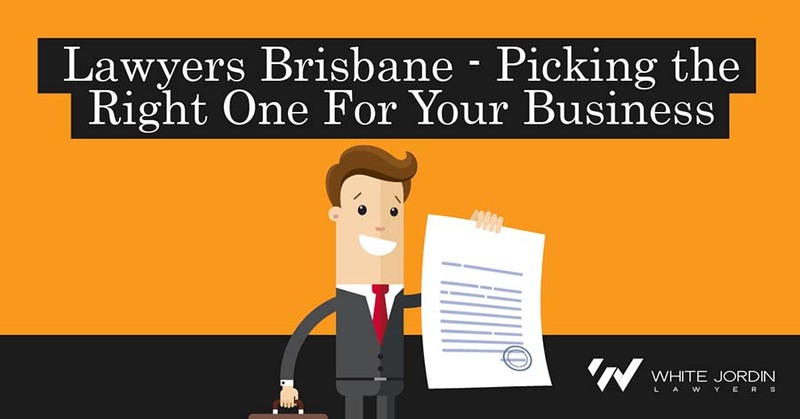 This list is not exhaustive when it comes to picking a Brisbane business lawyer, but they should help you make the right choice.